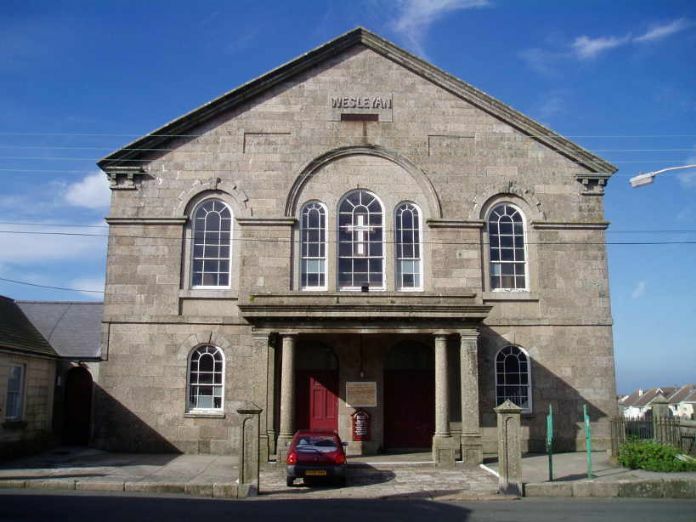 On the 25th April 2016 a notice was posted on the St Just-in-Penwith Town Council website that the Wesleyan Methodist Chapel was to close its doors for the last time at midnight on Thursday 31st August 2017. The Chapel, often referred to as the Miner's Cathedral opened its doors for worship on 27th September 1833. After 184 years the dwindling congregation was no longer able to support the cost of the huge building. Reporting the opening of the Chapel, the Royal Cornwall Gazette of 5th October 1833, announced that there was seated accommodation for 1800 worshippers (possibly an over-statement). The Religious Census of West Cornwall and the Isles of Scilly 1851 reported that the morning service was often attended by 650 while the figure in the evening was frequently over 1000. The actual figures for Sunday March 30th 1851 were 650 in the congregation in the morning and 900 in the evening. The census also reported that St Just, population 5,559 (not inc. Pendeen), contained 950 people giving their denomination as Church of England; 1390 Wesleyans; and 700 Bible Christians. The same source gives of 1000 for seating and this was clearly only just adequate! John and Charles Wesley had preached regularly in St Just between 1743 and 1789 and in 1750 John Wesley noted that “the society of St Just was the largest in Cornwall”. 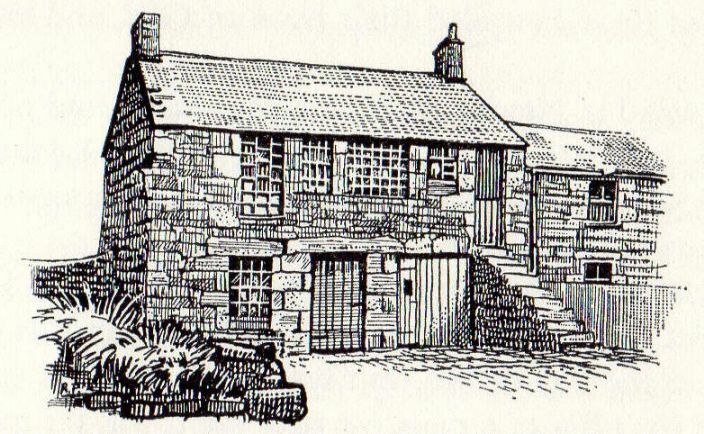 The original 18th century meeting house still stands in North Row. Following the announcement of closure in April 2016 there were various discussions and proposals regarding the future of the building. At the time of writing, 5th September 2017, the St Just Wesleyan is open several days a week and plays host to a small cafe and a variety of activities and entertainments. The aim of the St Just Miners' Chapel Project is to raise the funds to restore the building and graveyard so that the Chapel can continue to serve as a centre for the community as well as a place of worship. The word iconic is over-used but it may be justly applied to the St Just Wesleyan Chapel, remembered by many emigrants of the diaspora as the last sight they had of home it stands as a strong statement of a world we have lost and as a reminder of where we have come from.